At the end of last October the Bank of Japan announced a large stimulus increase which was followed by a sharp decline in the yen. 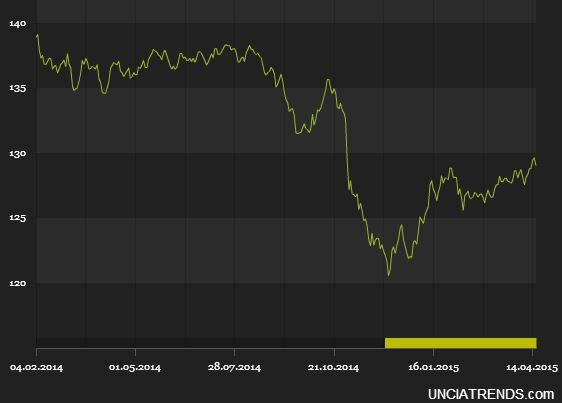 In 2015 however the declines have stopped as USD/JPY remains range-bound. Moreover, the trade-weighted yen index has been on the rise this year. This seems inconsistent with the Bank of Japan's monetary expansion, which remains extraordinary. The nation's bank reserves - and therefore the monetary base - rose sharply in 2015. Has the yen depreciation played out its course for now? 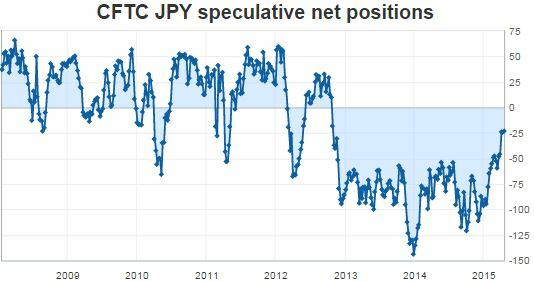 The markets do not seem to be expecting significant further declines in the near-term, as the speculative accounts' net short yen positions are cut. 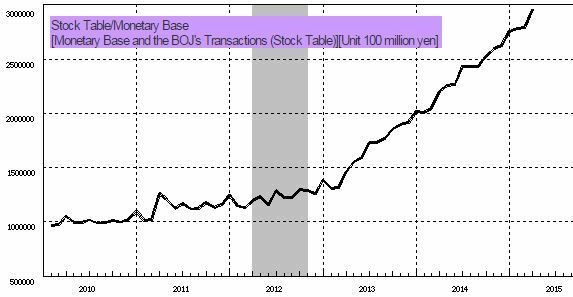 It's almost as if we've reached what some have termed "quantitative easing fatigue": further yen depreciation requires ever more aggressive securities purchases announcements by the BoJ. In fact the yen has risen against the dollar for six consecutive sessions as of Friday - the longest winning streak for the currency since September 2012. As of Sunday night, the yen continues to strengthen. Part of the issue has to do with softer than expected economic performance in the United States, which is stalling the US dollar rally. 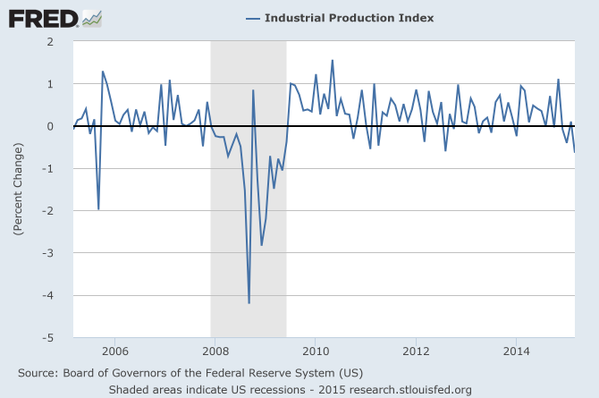 For example the US industrial production index declined by 0.64% last month - the largest percentage drop since May 2009. In the long run however, further yen weakness seems inevitable. The reason has to do with the sheer relative size of Japan's quantitative easing. 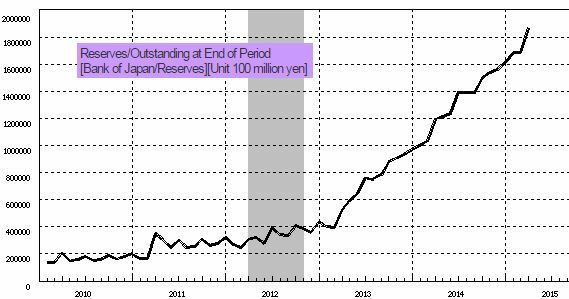 Based on the latest projections, the BoJ's balance sheet will be above 90% of Japan's GDP within a year or so. 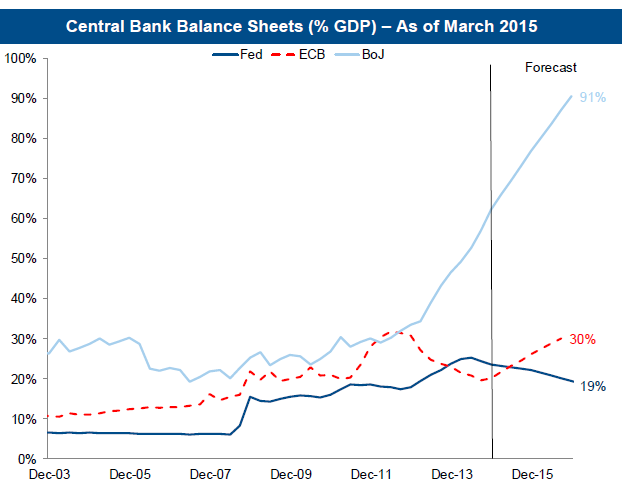 This dwarfs other major central banks' monetary expansion efforts, including that of the ECB. Furthermore, given the scope and size of this program, it is unclear if the Bank of Japan can ever effectively exit it without a massive disruption to the nation's economy. While we could see the yen strengthen briefly in the near-term, the currency will remain under pressure for some time to come.